With the growing success of digital color printing and shorter runs, there is demand for reliable, easy to set-up and affordable high-speed finishing. The RC-1000 responds to the need with a feature rich finishing solution for Commercial and In-plant printing operation. 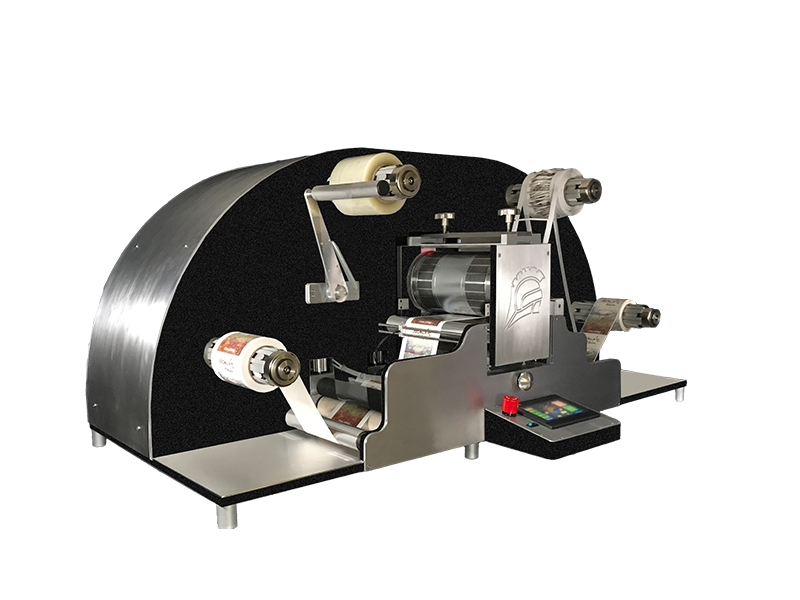 The RC-1000 has a very simple paper path-making set-up fast, uses less material and minimizes waste. It allows users the flexibility to convert printed labels and produce blank labels. Fingertip control of lateral die position, air chucks, pinned die cylinder and the ability to save converting settings further our goal to make the RC-1000 easy to use and improve operator throughput. Affordability, speed, features & quality all in one. The RC-1000 is a fast, easy to use, high quality, commercial grade finishing system. The perfect match for all users of digital printing systems. -High finishing speeds-up to 80 feet/min.